Apparently it’s already time for another League of Legends patch. Riot Games has been hard at work on the new Karma, Udyr, turrets, and as always items. It’s a really, really busy week. Prepare yourself. Karma has been relaunched with updates to her model, her kit and her story. If you would like more information, you can read more here. 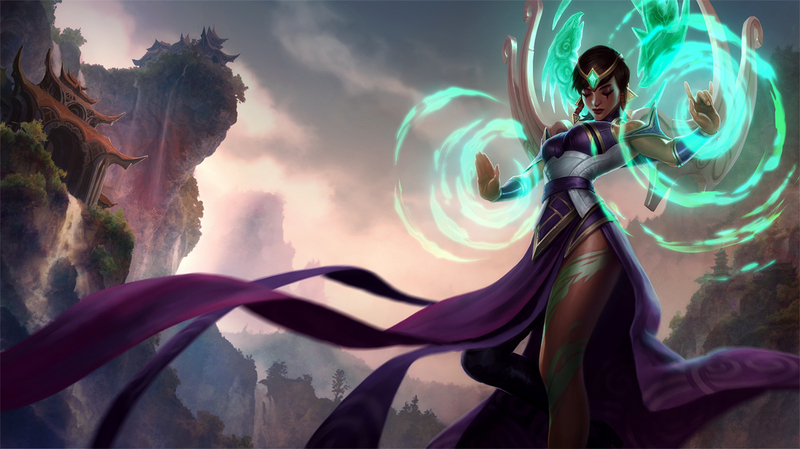 Reduce’s Mantra’s cooldown every time Karma damages an enemy with one of her abilities (Half-effect for Karma’s basic-attacks). Mantra Bonus – Soulflare: Deals additional magic damage and leaves a circle of flame at the impact area (or upon reaching maximum range), heavily slowing all enemies inside the circle. After a brief delay the circle erupts, dealing heavy magic damage to all enemies in the area. Mantra Bonus – Renewal: Focused Resolve deals bonus magic damage over time and heals Karma for a percent of her missing health while linked to her target. Mantra Bonus – Defiance: The shield overflows with energy, dealing magic damage to all enemies around the shielded unit. Allied champions near the shielded unit gain half of that amount as a shield and are hasted. Akali’s Twilight Shroud was behaving inconsistently before this patch, so we’ve adjusted it to better match its visual and theme, and to provide greater opportunity for counterplay. Rumble’s ultimate was intended to be an area control effect but, with the large upfront damage it deals, it tends to be used more as a long-range nuke instead. With this patch, we’re adjusting The Equalizer to better match its original intent. In this patch, we’ve made some substantial changes to Udyr. Our goals were to make changing stances feel more impactful, transfer power from passive stats to actual noticeable effects and reduce problematic lane issues. For example, Turtle Stance currently allows Udyr to become an immovable object in lane once he gets ahead, and we want to address that. In Season 3, we made a few changes that made turrets feel less like a safe haven for defenders – especially in the early parts of the game. Specifically, with turrets attacking minions in a set order and some champions itemizing for health earlier on, it’s become easier for teams to push aggressively and even dive turrets with low risk. These changes should give defending players more of a fighting chance when under their own turret. We are fixing a bug with Teleport where its visual effect would disappear if cast on an expiring temporary unit. Teleport should always be visible to opponents who have vision of the area, much like how casting it on a non-revealed ward still displays a visual effect. You still with us? Good, we thought that we might have lost you. It’d probably be best if you commented below to let us know that you’re still alive.